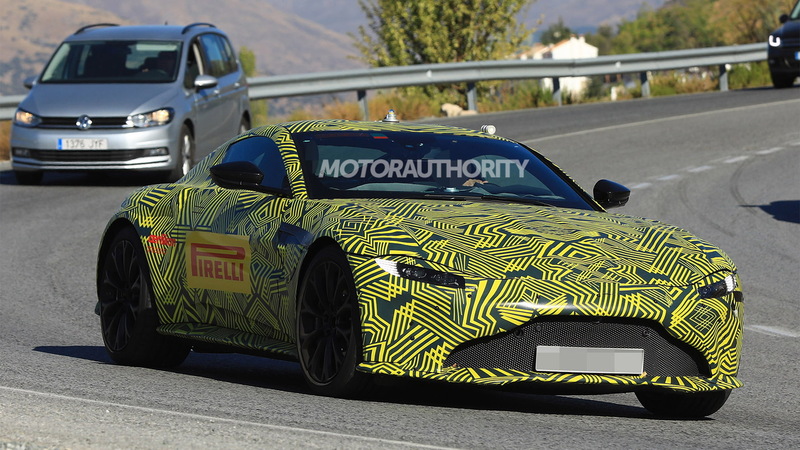 The second model in Aston Martin’s brand renaissance has been spotted again. 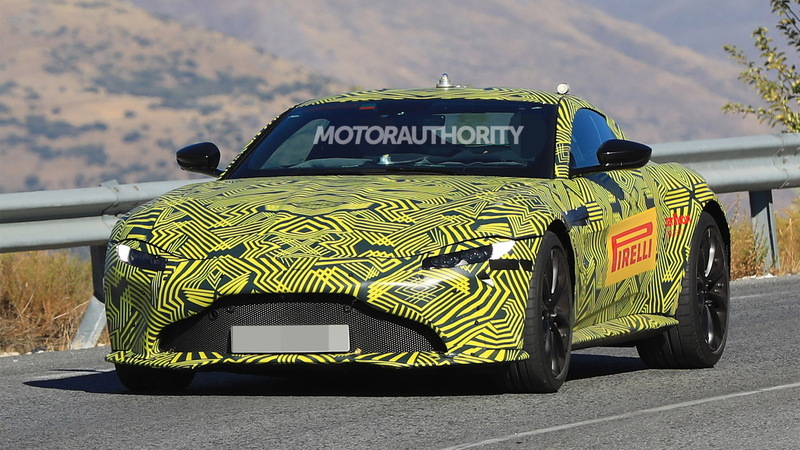 We’re looking at prototypes for a redesigned Vantage that's set to be unveiled later this year, as a 2019 model. 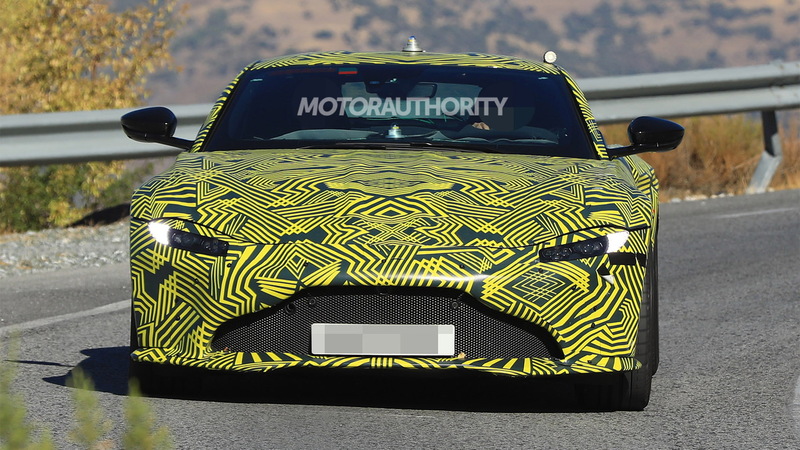 The prototypes spotted testing in Europe reveal a number of details for the upcoming sports car. The design language is similar to what we see on the DB11 but the Vantage sits lower, has a shorter wheelbase and overall looks sportier and more focused. A spy video shows an older prototype. 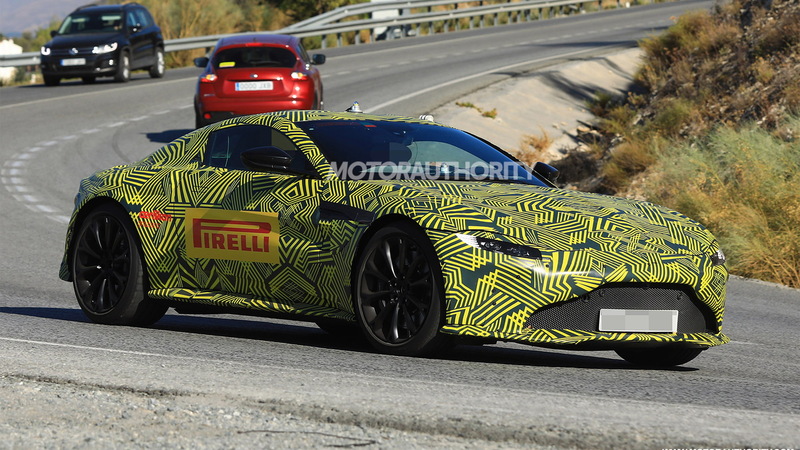 The older tester has been disguised to resemble the DB11, though we can see it’s significantly shorter. That’s why the tester looks like it has a massive overbite. Aston Martin CEO Andy Palmer has described the new Vantage as being the option for track enthusiasts. He’s also confirmed it will continue to form the basis of Aston Martin’s endurance racing program. The bumper designs are unique to the car and look to feature larger openings than on the DB11. The engineers are also testing a very aggressive front splitter on some of the prototypes. As expected, Aston Martin’s slinky DB10 sports car developed for the James Bond movie "Spectre" was the inspiration. 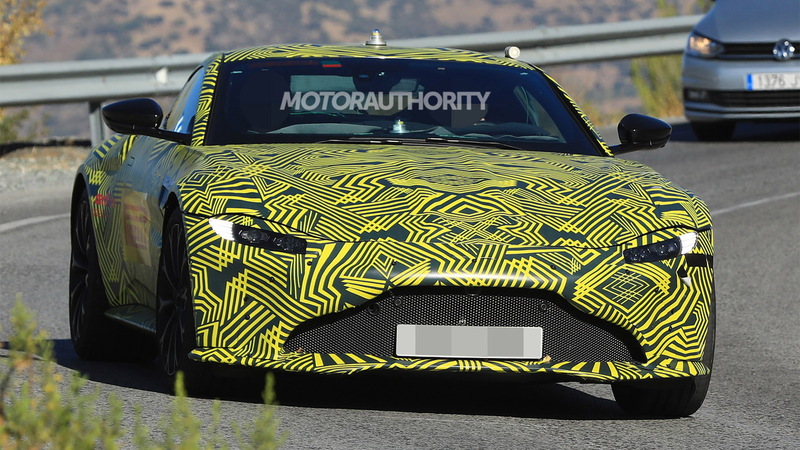 Though it’s hard to gauge from the spy shots and video, it’s possible the Vantage will only come with two seats this time around, helping to further differentiate it from the DB11 which sticks with a 2+2 seating arrangement. A digital instrument cluster will feature at the front of the cabin and buyers should be able to select from a 6-speed manual or 8-speed automatic. Also helping to differentiate the cars will be the powertrain lineup. While the Vantage will be launched with a V-8, the DB11 is available with both V-8 and V-12 options. The V-8 in question is a 4.0-liter twin-turbocharged V-8 sourced from Mercedes-AMG. It gets some unique treatments to provide Aston Martin’s models with its own power rating and soundtrack. Underpinning the Vantage is the same bonded aluminum structure found in the DB11. The new structure promises less weight, increased rigidity and better packaging. Sales of the redesigned Aston Martin Vantage should commence towards the end of 2017. The $138k starting price for the current model is a good bet for the lower bound of the new model's pricing.